Start your year off right with friends new and old at our PTA Back to School Social during the Meet & Greet. Before you leave, be sure to stop by our PTA table to check out this year’s Spirit Wear, join the PTA, and check out our awesome volunteer opportunities! The Cowlishaw PTA welcomes all rising Kindergartners to our school and invites them to a Kindergarten Playdate. Connect with and get to know other families who have incoming Kindergartners. This will also give the kids a chance to potentially meet some new classmates before school begins. 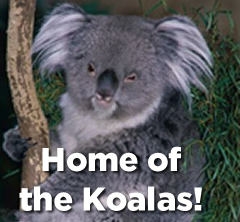 We look forward to welcoming all our new Koalas to the family! Join the PTA in the Multipurpose Room for our first general membership meeting of the year! We need your help! Cowlishaw LMC is looking for volunteers during the school year to help students, check books in and out of the LMC, repair and shelve books, create and update bulletin boards and assist with various projects. Volunteers are needed from 9am-11am, 11am-1pm or 1pm-3pm on a weekly or bi-weekly basis. If interested, please click on the link below. There are numerous other volunteer opportunities throughout the year at various PTA sponsored events and we have several chair positions open for this year. We will be hosting a volunteer open house and will send more details in the next few weeks. If you are interested please contact Michelle McCorkle at mmccorkle@deloitte.com. Find us on Facebook for up to date happenings in the Cowlishaw community!